It is My pleasure to give you the Kingdom, says the Lord. As you pray for My kingdom to come and My will to be done in your life, I will answer you with, YES. Yes, I will cause My purposes in your life to unfold. Yes, I will create new things for you to be engaged in. Yes, I will fulfill My purpose in you and cause you to be a giant in My kingdom. I will open wide My hand of provision for you. I will cause you to KNOW that I AM your GOD! You will see My mighty hand in motion. You will witness MY power being released in the environs of your life, says the Lord. There will be NO doubt in your mind that the supernatural is within your grasp as I unleash it in and around you. There is no such thing as impossibility with Me, says the Lord. My kingdom is one of ultimate power and authority that is uncontestable. No power can conquer Me, and I am empowering you as a mighty conqueror in Me, says the Lord. I cannot be defeated and there is no threat against Me. You cannot be defeated, and you need to see that there is no viable threat against you either. Since I have overcome the evil one and the world, I have pronounced you to be victorious as well, says the Lord. Do not run from the enemy, but look at him straight in the eye. Do not take his insults. Give it back to Him. Go ahead and assault him, for I Am with you to insure your success. The evil one knows that you are undefeatable as long as you maintain your trust in Me. You need to shift your thinking to line up with what I have created you to be: undefeatable, says the Lord. Stand straight and tall and face the conflict head on, for no weapon of the enemy will be able to destroy you. I have come to destroy the works of the devil and I have equipped you to do the same. Do not cower in his presence but take up the sword of My Spirit and the shield of faith and violently contend for the faith in ME. The enemy cannot win; you cannot lose. 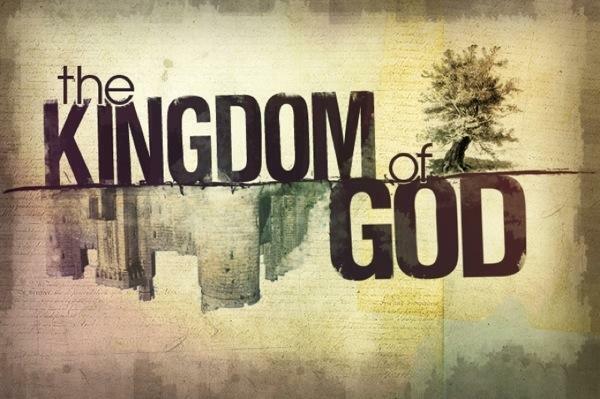 My kingdom was created to be populated with My people, says the Lord, and you are a vital part of it. So go forth in My power and anointing and conquer, for I Am with you and will insure that you WILL defeat the evil one, stand on His neck in open display of his defeat , and you will go forward and great feats for Me in My kingdom, says the Lord.